Your home’s plumbing system is among the most vital features, which makes up about 15% of the total property value. So, if your plumbing isn’t working properly, you lose by as much as 15%, which equates to a substantial loss of investment. Among the many things you need to worry about is the drain. A blocked drain can wreck a perfectly good day, leaving your sink with lots of dirt, backed-up water that smells, and a stinky smell that can stay in your home for days on end. You don’t want your drain to be a recurring problem, especially because it is completely preventable with proper maintenance and care. Don’t throw things down the drain that will cause it to clog up. These include hair, food particles, cosmetics, medication, grease, oil and other items that can cause buildup of residue, or those that won’t flush down easily. 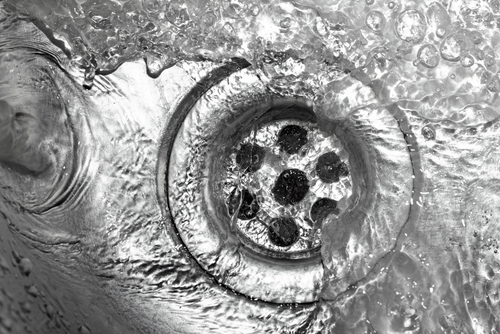 Use strainers to prevent debris and other particles from clogging the drain. Strain food residues from pots, and toss them in the garbage bin instead. You should also make it a habit to clear plates and dishes of any leftover food before washing them. Whether it is the drain in the shower, bathtub or kitchen sink, install screens that can help stop or minimize the amount of particles, hair and other debris from going down the drain and getting clogged somewhere along the way. Whatever is caught on the screen, you can then pull out and throw in the bin. Before adding food, make sure the water and disposal are turned on. Let the water run for 15 seconds more after using the disposal, so that particles are completely flushed down the line. Don’t throw banana peel, potato peel, celery and other stringy or fibrous waste down the disposal. Minimize the use of bath oils, especially those that can accumulate over time. Only human waste should be flushed down the toilet. Anything else should be tossed in the garbage bin. Spend at least 10 minutes of every month to move around your home and check the pipes, sewers, sinks, and flush toilets for any leaks. The sooner you identify leaks and other problem areas, the sooner repairs can be done and prevent wastage of any kind. Part of home drainage maintenance is to ensure that the plumbing system is working properly. Think someone’s thrown grease down the drain? You can prevent bigger build up by flushing the drain once a week with hot water. Slowly pour a large pot of boiling water on all of your household drains. Do it twice. Afterward, let cold water run through the drain for 60 seconds. Hard water tends to leave mineral residue in pipes that can restrict flow, and cause corrosion in fittings and joints. Request for a water test to obtain hard water information, and then hire a plumber to install a water softener to counteract or even dissolve minerals.